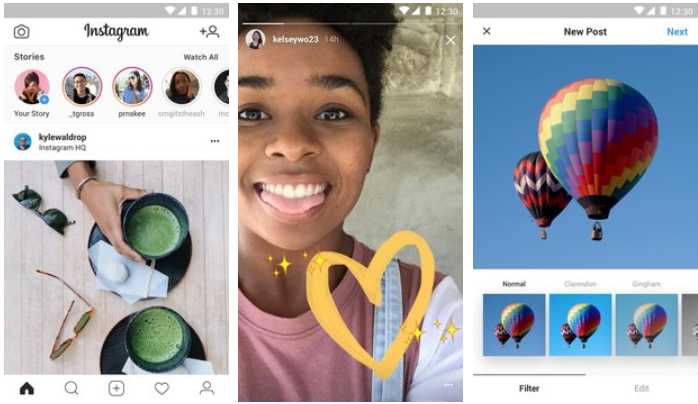 Instagram has just launched a lite version of its application. If you don’t want to install the original Instagram app on your phone, you can opt for the lite version. The lite version here means that this application is extremely small in size. The original Instagram application is of 32.9MB while the lite version is only of 572.7KB. Upon loading the Instagram Lite application, users can note the UI changes. The welcome screen is minimalistic now. Instagram has changed the animations in this lite version. Some of the buttons have vanished, the application now has lite symbols and icons. The stories screen has a new UI as well. Instagram Lite doesn’t take too much time to load. The application loads everything in just a couple of seconds. The pictures, stories are all the same. Instagram hasn’t changed the resolution for the images and stories in the lite version. This version has a revamped UI that doesn’t occupy a lot of space in the assets folder of the application. All the Instagram filters are there. The differences in this version of Instagram are not notable. It’s good for those who do not have a very great internet connection and they want to easily access Instagram. Installing this application will merely take 3 seconds since it’s size is in KBs only. Instagram Lite is already out in the Google Play Store. The application is in soft-launch phase. It’s not appearing in all the regions. If you are after the Instagram Lite, you can download its APK. The Instagram Lite APK v1.0 is available here. Go ahead in order to Download Instagram Lite APK and install it by following the instructions given next to the download link. Download Instagram Lite APK and copy it to your phone – Download Link. On your phone, go to Settings > Security > Unknown Sources > Allow. Now locate the APK file and tap it to install it. Open newly installed Instagram Lite APK from the app drawer. That’s all.